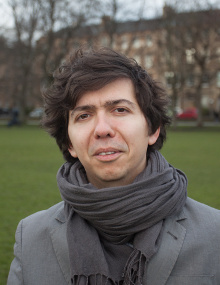 Dr Paul Patras is a Lecturer (Assistant Professor) and Chancellor's Fellow in the School of Informatics at the University of Edinburgh and a member of the Institute for Computing Systems Architecture (ICSA). He is also affiliated to the EPSRC Centre for Doctoral Training in Pervasive Parallelism and the Informatics Security & Privacy group. Previously, he was a research fellow at the Hamilton Institute of the National University of Ireland, Maynooth. Between 2007–2011 he was a research assistant at IMDEA Networks (Madrid Institute for Advanced Studies in Networks) and in 2010 was a visiting researcher in the Networks Group at Rice University, Houston, USA. Dr Paul Patras holds a Ph.D. and a M.Sc. in Telematics Engineering from University Carlos III of Madrid, and a Dipl.Eng. degree from the Technical University of Cluj-Napoca, Romania. Dr Paul Patras' research seeks to bridge the gap between fundamental mathematical models and real-world applications of computer networks. He focuses on problems related to performance optimisation in wireless networks, network protocols and architectures, mobile traffic analysis, security and privacy, prototyping and test beds.